Can't believe I'm almost head to toe in Nike. It used to be accidental head to toe Topshop outfits but times have clearly changed. Not sure which is worse..? 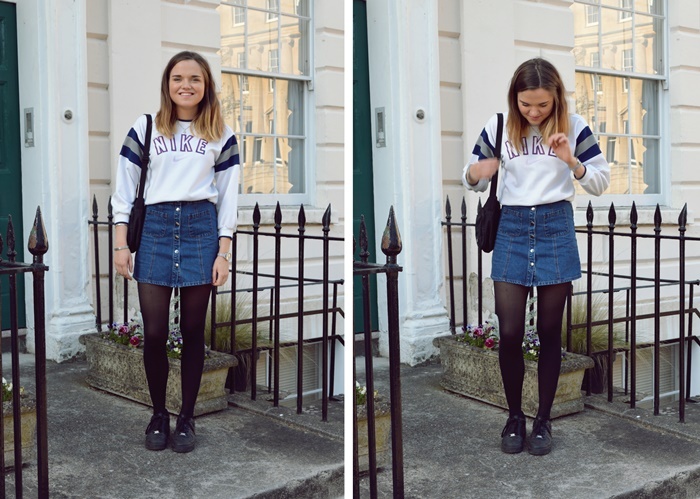 I have been really into that whole vintage sportswear thing lately though; definitely Bristol's influence! Depop is a really good place to look - as is eBay but Depop is so much less stressful because you know what you're getting and avoid all those cray bidding wars. This Nike gem is from a seller called 'thatgoldenera', and I would also recommend 'clearframethrift', 'aestheticvintage' and 'thefinestgear' to satisfy all of your sportswear needs. 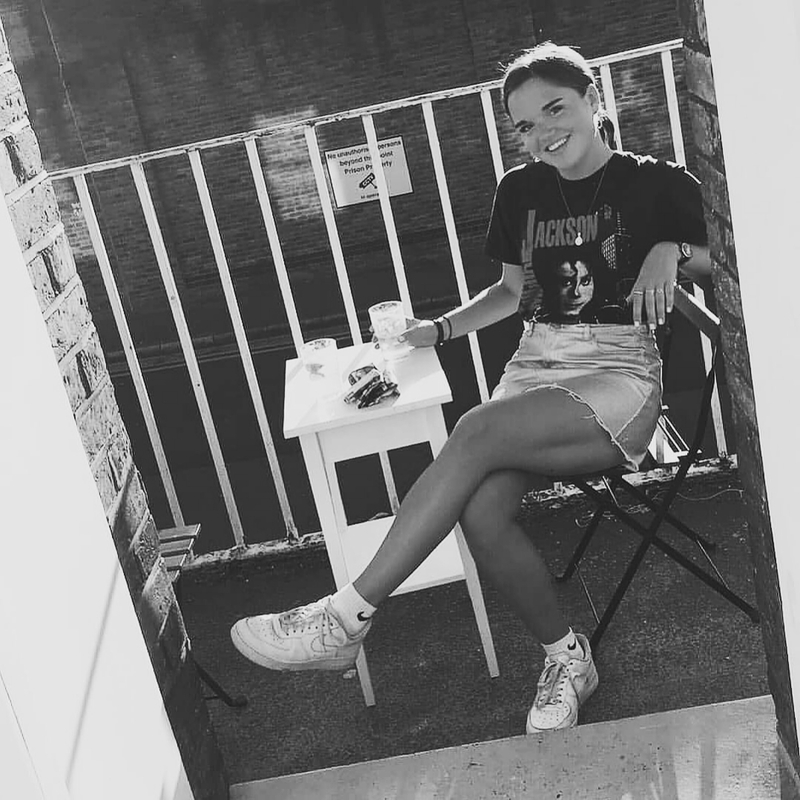 I already mentioned this in my last post, but I'm selling loads of stuff on Depop at the mo (username 'amymacee'), so please have a browse and see if there's anything you fancy! I take offers, so just message me on there if there's something you're after and I'll get back to you asap! love this whole outfit and the nike theme! Gorgeous outfit love the denim skirt mixed with the sport sweat.